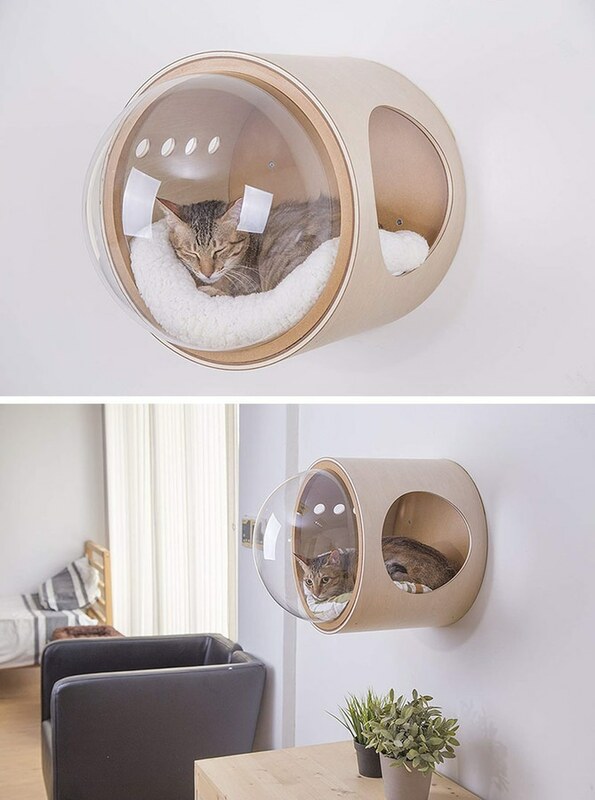 MYZOO have created a line of modern cat beds named the ‘Spaceship Series’. 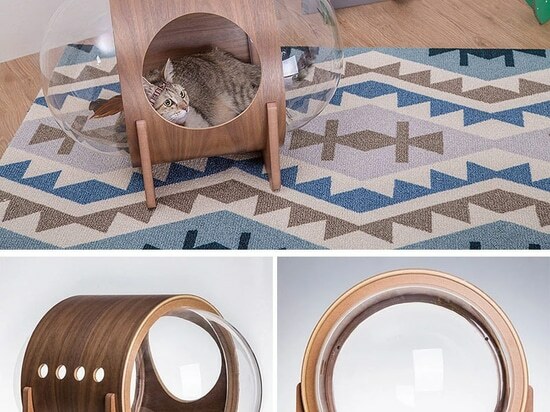 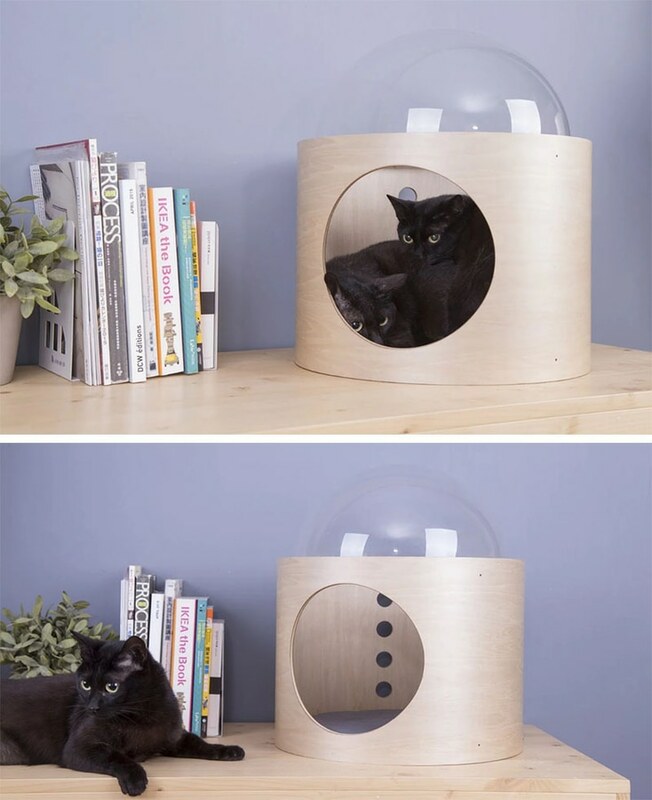 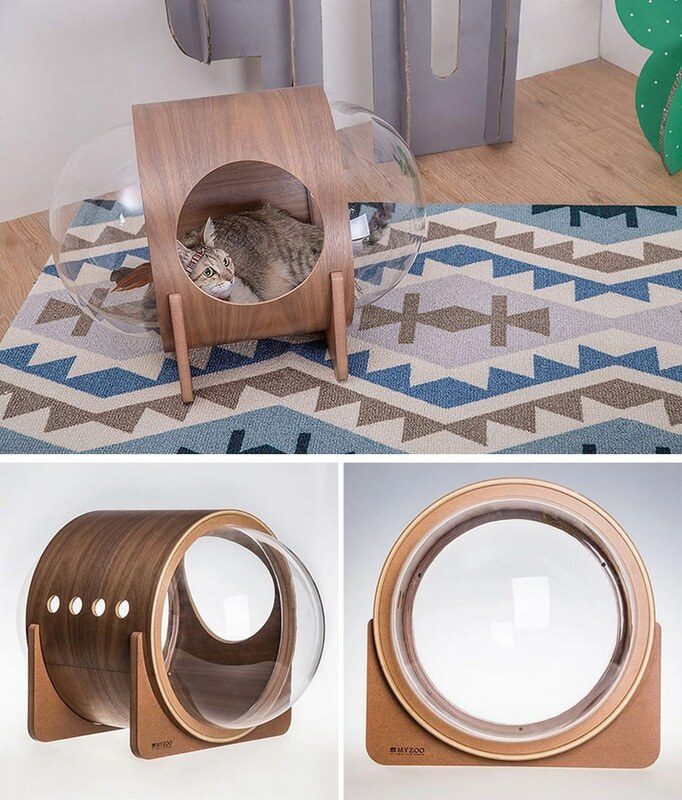 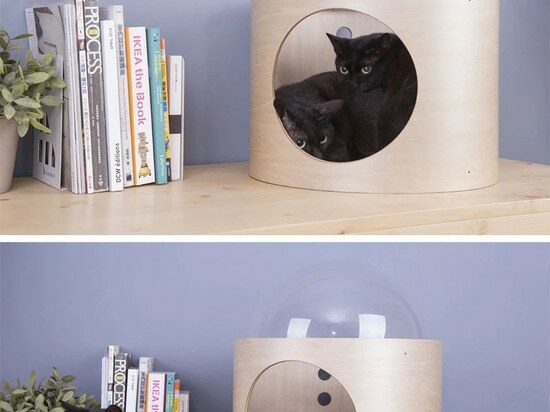 The series, which includes three different cat beds, makes use of large domes that allow the cats to see the environment around them, and at the same times, makes them feel secure. 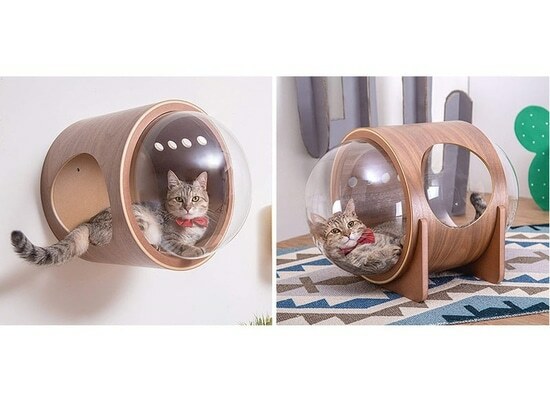 The three designs include one that can be wall mounted, a double-dome one that can sit on the floor, and a third one that can be placed on a table. 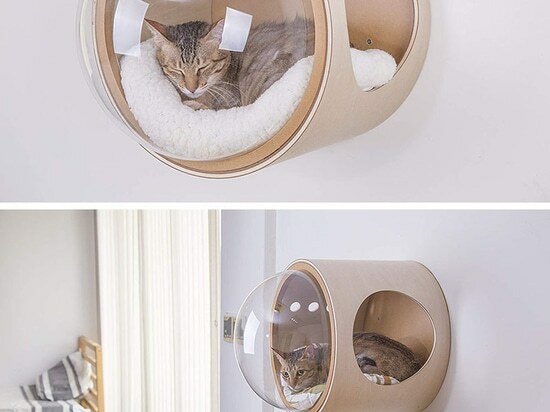 Each of the cat beds have an entry hole and smaller holes at the back creating better air circulation and reducing the echo that may occur in the surrounded space.